In order to provide you with financial planning services we will collect and hold personal data about you. We are also required to comply with the General Data Protection Regulation (the “GDPR”) and as such hereby set out details as to how we process your data and your rights. Although as your advisers we may need to collect a lot of personal data, of which some will be very sensitive information, we think it is important you understand why we need the information, what we do (and don’t do!) with it and what your rights are.  Provide financial planning services to you which may include giving you financial advice and making recommendations as to investments and financial products which are suitable for you. For example, we may ask you sensitive data about your health in order to assist you in applying for certain types of protection for you and your family. Comply with our regulatory obligations imposed by the Financial Conduct Authority (FCA) in regard to the relevant ‘Know Your Client’ obligations. In addition, to comply with the Regulator’s requirements for record keeping for prescribed periods of time as directed. Respond to any legitimate legal requests for information about you to the FCA or pursuant to an order of any court or tribunal having relevant jurisdiction, or as required by law for the purposes of but not limited to combatting fraud, money-laundering and criminal activities. Carry out our legitimate business and professional management responsibilities which include, providing you with suitable advice, ensuring your portfolio and financial products continue to be suitable, and adhere to anti money laundering requirements. To inform you, where appropriate, of the contact details for any Data Protection Officer appointed by us. To inform you about the purposes for which data is to be processed and the legal basis. To inform you of the recipients or categories of recipients of data. In the event that the data controller proposes to transfer the data to a country other than those covered by the GDPR, to provide you with details of the safeguards surrounding such transfers and how to obtain a copy of them. To inform you of the period for which we propose to hold the data, or where this is not possible, the criteria which we will apply to data retention. To remind you of your rights whereby you may: request access to data of which you are the data subject, object to, or withdraw consent for, the processing of the same, obtain rectification of inaccurate data, prevent data processing for the purposes of direct marketing, object to decisions being taken by automated means and to have the logic behind those decisions clearly explained, claim compensation for damages caused by a breach of the Data Protection Act 1998, request data erasure (where no exemptions apply). Where you exercise your right to request access to data of which you are the subject, we will aim to respond to you within 30 calendar days of your request. There will be no charge for this service. You may at any time, by giving notice to us in writing, request that we cease to process your data. We will undertake to comply with any such request as soon as is reasonably practicable. Delete any data which is trivial or transitory in nature, or which in our opinion is no longer required for the purposes set out above. Update the data to ensure that any errors or inaccuracies are corrected. Archive data as detailed below. Subject to the data retention periods, as detailed below, securely delete the data when it is identified that we no longer need to hold it. We will hold any agreements between you and us for a period of 6 years from the termination or expiry of the agreement unless we have been notified of any claim or circumstance which might give rise to a claim under or by reference to such agreements. We will process data relating to investments which we have provided advice on and / or arranged for you. We will process such data throughout the entire period you are and remain a client of the firm and for a period of not less than 6 years following our ceasing to provide service to you in regard to those investments. We will hold data as required by any Regulator until the end of any limitation period imposed by that Regulator, which in the case of the Financial Conduct Authority is currently 6 years for most types of business but some data retention periods shall be indefinite. We will hold data as required by any relevant third party until the end of any limitation period imposed, which in the case of HMRC shall be 7 years, unless we are notified that any period is considered “open” by HMRC in which case it will be until the period is “closed”. We will hold data as required for the purposes of any legal proceedings for a period of 6 years following the conclusion of any such proceedings unless a longer period is required pursuant to any court rule or enactment. We will regularly review data and where in our opinion such data has ceased to be Active we will archive it and process it only as Archived Data. Any data which is deemed Archived Data will only be processed in limited circumstances. All storage of data, whether Active Data or Archived Data will be in accordance with good industry practice and will be undertaken in accordance with organisational systems and procedures, which will be regularly reviewed, to maintain the security of data. On the termination or expiry of any agreement to provide services to you and on your written request, we will, subject to our right to retain copies of data for the purposes set out above, agree to return any data you have provided to us in a structured, commonly used machine-readable format, or transfer the same to a new data controller nominated by you. We take your privacy very seriously and will only use your personal information and data to administer the services we have agreed to provide you with, including but not limited to any products or contracts for investments, pensions, life cover, or equity release services you have made or entered into through our firm. By signing this Data Protection and Privacy Notice you are confirming your agreement to these terms. You further acknowledge, by signing this Data Protection and Privacy Notice, that you have been made aware of, and give your consent to, this firm’s policy on sharing your data with other companies as detailed in the ‘Whom we may share your data with’ section of this agreement.